1o Συνέδριο Καρδιαγγειακής Απεικόνισης στη Κλινική Πράξη 1st Conference on Cardiovascular Imaging in Clinical Practice - Livemedia - Livestreaming and archiving, broadcasting on demand, conferences, congresses, events, courses, webinars, reportage and news. Livemedia web channel. 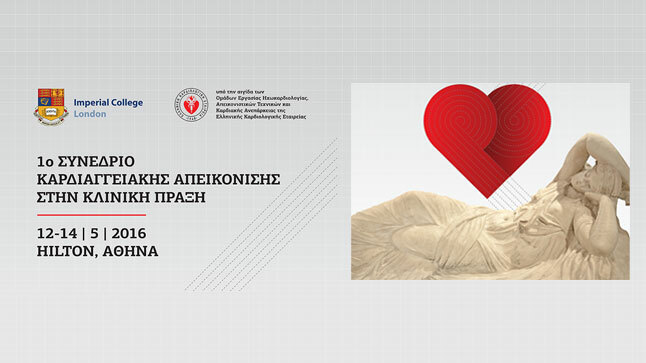 Watch live and on demand the "1st Conference on Cardiovascular Imaging in Clinical Practice" organised by Imperial College London Department of Echocardiology, Hammersmith Hospital, to be held on 12-14 May 2016, at Hilton in Athens.